A stunning golden tapestry woven from spider silk is unveiled at the American Museum of Natural History in New York City after four years of work — and the help of more than 1 million spiders. This week in New York, the American Museum of Natural History unveiled something never before seen: an 11-by-4-foot tapestry made completely of spider silk. Weavers in Madagascar took four years to make it, and the museum says there’s no other like it in the world. 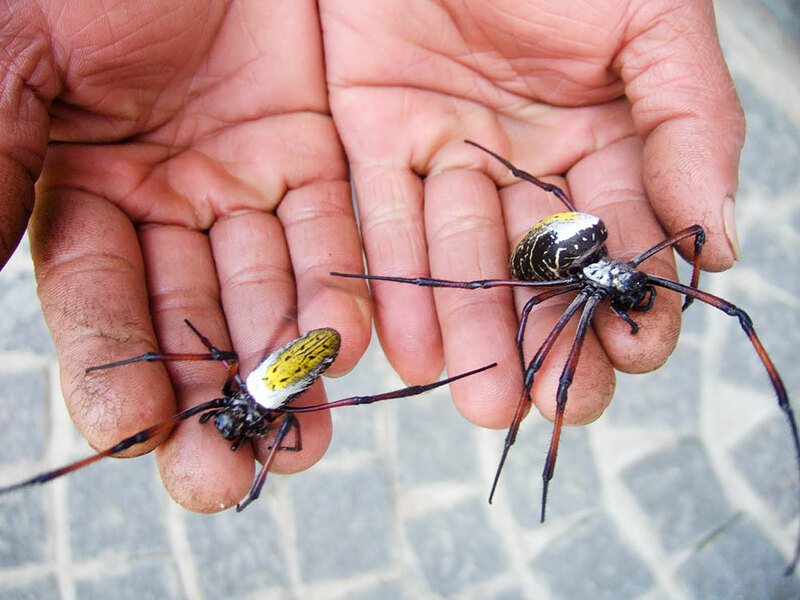 Two Nephila madagascariensis spiders that were used to create the golden tapestry. It’s now in a glass case at the museum. The color is a radiant gold — the natural color of the golden orb-weaving spider, from the Nephila genus, one that’s found in several parts of the world. Simon Peers, a textile maker who lives in Madagascar, conceived the project. 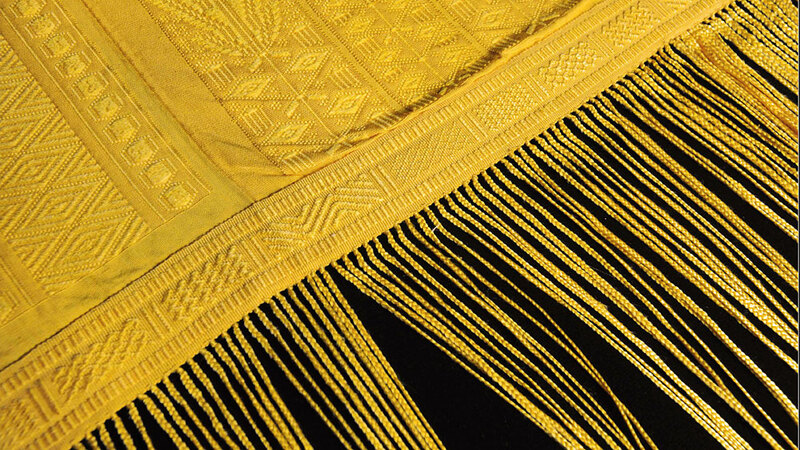 Weaving spider silk is not traditional there; a French missionary dreamed it up over a century ago but failed at it. The only known spider silk tapestry was shown in Paris in 1900 but then disappeared. Peers researched previous attempts, then teamed up with fashion expert Nicholas Godley to hire local weavers to try the near-impossible. The task of silking a spider starts with a small machine — designed centuries ago when the first attempts to silk spiders were begun — that holds the spider down. 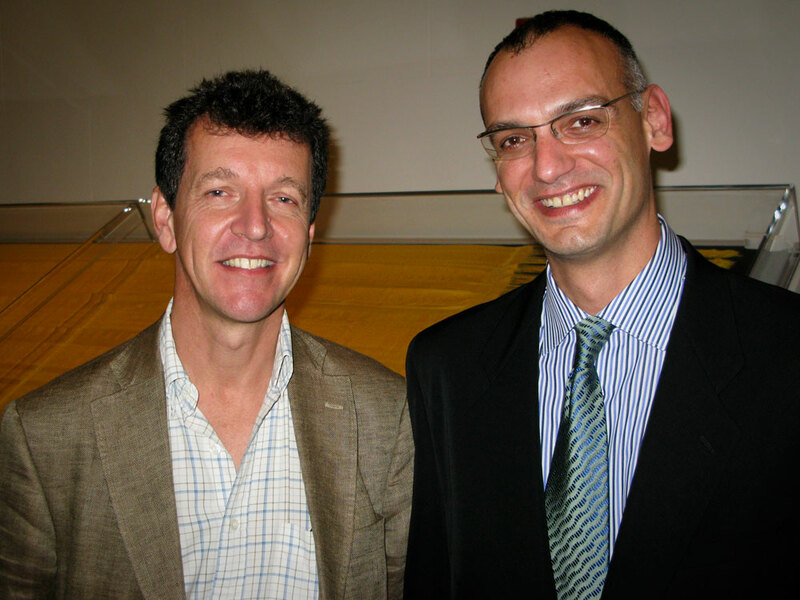 Simon Peers (left) and Nicholas Godley stand in front of the tapestry at the museum in New York. They say they spent a half-million dollars of their own money to make the tapestry. Peers picks up the thread of the story. A very careful person simply pulls the thread out of each spider and wraps it on a spindle. It’s then put on a hand loom and woven. The main threads consist of 96 twisted silk lines. The brocaded patterns in the tapestry — stylized birds and flowers — are woven with threads made up of 960 spider silk lines. Peers says they never broke a single strand, yet the tapestry is as soft as cashmere. Peers and Godley say they spent a half-million dollars of their own money to make the tapestry, which is on display at the museum for several months. i wonder how one cleans a spider web tapestry….. with a bottle of stain-removing SHOUT! perhaps? Warning: this website is a timekiller! NO, it’s not captioned. NO, it’s not even english. but YES, it’s cool! I’d like to see a bunch of freshmen Gallaudet Students do something creative like this. How about it, kids? You up for the challenge?